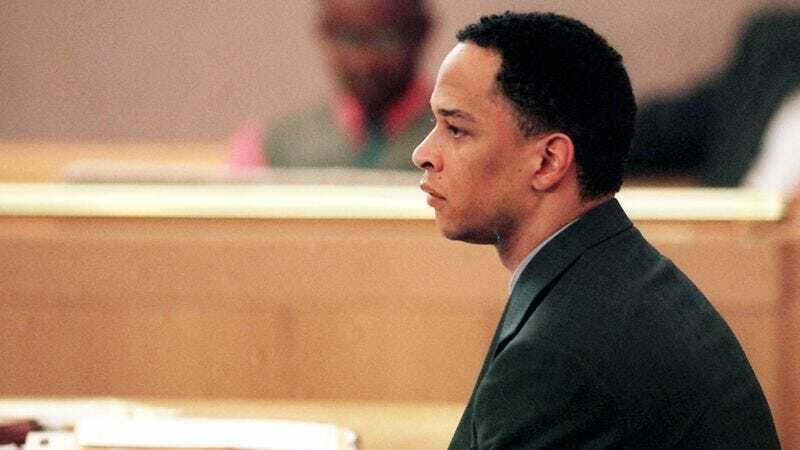 CHARLOTTE, NC—A district judge granted former Carolina Panther and convicted murderer Rae Carruth a one-day release from his 24-year prison sentence Thursday to allow him to participate in the filming of a new “This Is SportsCenter” commercial in Bristol, CT. “I was fully prepared to dismiss the request sight unseen, but I allowed the counsel to explain the commercial and it actually sounds really funny,” said 9th district judge Harold Joyner, explaining the unprecedented release of Carruth, who arranged the murder of his pregnant girlfriend in 1999. “In the commercial, two SportsCenter anchors will be walking through the office and see Rae Carruth wearing an orange jumpsuit and picking up trash. They look confusedly at Rae, and he will shrug and say, ‘ESPN’s work-release program.’ See, pretty good, right?” This marks the second controversy surrounding an ESPN commercial in as many months, as earlier in March the network pulled an ad featuring Scott Van Pelt advising Mr. and Mrs. Met to consider an abortion.